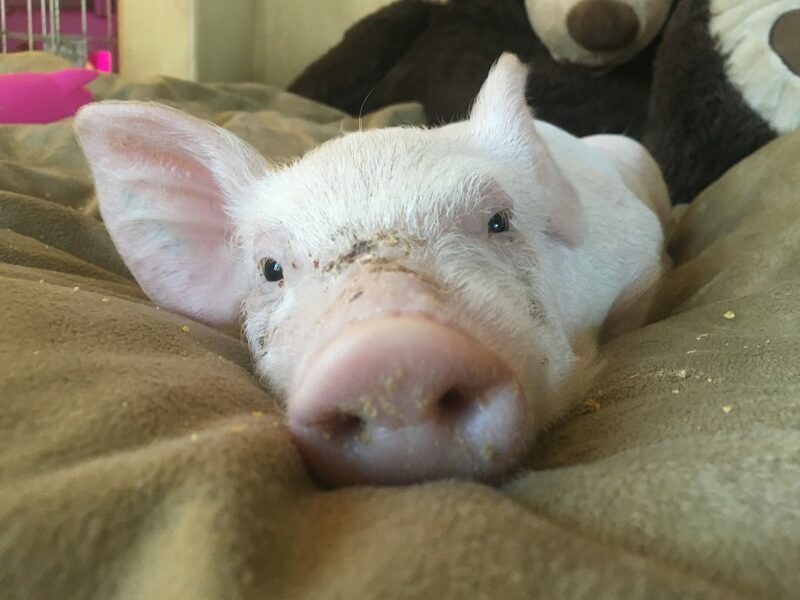 Two piglets, near death before being rescued by two animal rights activists and nursed back to health. This may not seem like something within the FBI’s jurisdiction, yet the FBI is carrying out an interstate pursuit to find these two rescued piglets. Technically, since the piglets were taken from a slaughterhouse, they could be considered “stolen property.” Yet, this doesn’t begin to explain why the nation’s federal law enforcement agency is pursuing the matter, especially so aggressively. A representative of Luvin Arms, who insisted on anonymity due to fear of the pending criminal investigation, described the events. The FBI agents ordered staff and volunteers to stay away from the animals and then approached the piglets. To obtain the DNA samples, the state veterinarians accompanying the FBI used a snare to pressurize the piglet’s snout, thus immobilizing her in pain and fear, and then cut off close to two inches of the piglet’s ear. The FBI isn’t really concerned about the fate of two missing piglets, even if they consider them to be “stolen property.” The real intent here is to intimidate animal activists, something the FBI is quite good at all. The FBI loves investigating activists as “domestic terrorism” and has done so repeatedly to animal rights activists. Animal rights activists also face another chill to their speech; federal law singles out animal enterprises for special protection. The FBI has on several occasions now brought “animal enterprise terrorism” charges against activists who freed mink from fur farms. It isn’t just the FBI who puts corporate profit above free speech. As we documented in our report Ag-Gag Across America: Corporate-Backed Attacks on Activists and Whistleblowers a number of states have enacted “ag-gag laws” aimed to protect the profits of big ag, by silencing their critics. The over-the-top FBI raids of animal shelters are just another attempt to intimidate animal rights activists and chill dissent. All with the aim of pleasing power corporate interests.